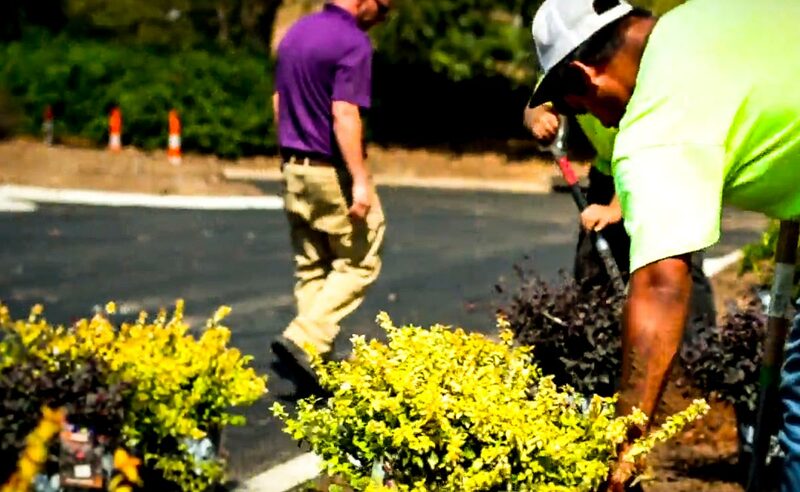 Unfortunately, landscape issues arise many times throughout the year. Having a dedicated “service provider” on call is often the key to helping reduce these costs as they happen. Sometimes a guaranteed 24 hour response is not good enough. Our goal is to have someone onsite within an hour to assess damages and shut down systems until the repair can be made. We classify this as a repair due to the response time needed when notices are received by mail. With the proper service provider in place these “repairs” can easily be avoided. This can be anything from a spreading plant life disease to turf issues. Quick recognition and solutions are key to saving valuable budget dollars. Hanging tree limbs, damaged plant life and ADA laws are just a few of the hazards that can affect a landscape budget. Green Impact takes pride in noticing hazards prior to money being lost. Let’s Talk About How We Can Help You Improve Your Property! Don’t take our word for it. Hear what our clients say about working with us. Just wanted to let you know that the guys did a great job on Tuesday. Everyone is very pleased. Thank you guys so much for helping us during the recent winter storm! Without your quick response we surely would have been in a mess. I'm sending you this email to convey my appreciation for the hard work that your crew has put into Diamond and health and rehab not only today but also in the past. Your company has always been prompt in addressing concerns. The grounds look really good, and I appreciate them taking the time and help us getting ready for the visitors. While that is not the primary purpose, part of the services that we provide, first impressions mean a great deal. Part of our goals include to provide a homelike environment for residence, which includes good landscaping. I'm personally very happy with the way the facility grounds look. I think it reflects well up on your team in taking pride in what they do. It makes our job easier in presenting our building as a place where people would feel comfortable in allowing us to provide care for their loved ones. So again I do truly appreciate the hard work your team is put in. Please let them know. The design and installation came out amazing. We cannot wait to see how everything looks as it develops. I wanted to quickly let you guys know, the flower crew did a great job yesterday on our beds. It looks like we will finally have a noticeable seasonal color display this year.